Kansas City police confirm to The Advocate that Jasmine Collins, a 32-year-old trans woman, was murdered in June and that a suspect has been arrested. Police in Kansas City, Mo., tell The Advocate that a 32-year-old trans woman known as Jasmine Collins was murdered earlier this summer, almost two months before the most recent killing of a trans woman — also in Kansas City. 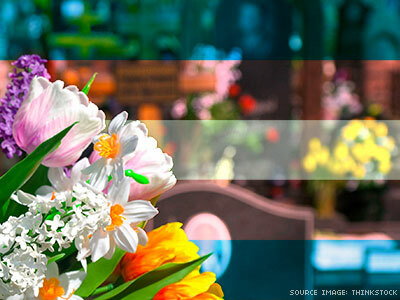 Her death brings to 18 the total number of transgender women killed in the U.S. in 2015. Media reports say Collins was stabbed to death following an argument over shoes. Sgt. Kari Thompson confirmed details first reported by The Guardian, a U.K. newspaper. A woman named Tia Townsel, 33, has been charged with second-degree murder. 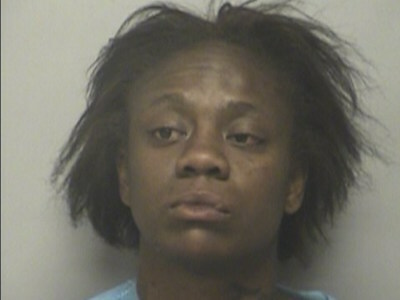 Collins, who police at first identified by a male name because of the state-issued identification she was carrying, was stabbed June 23 in a neighborhood north of downtown known as “The Bottoms." Kansas City TV station KCMO reported it was the second deadly stabbing at the Holiday Apartments in as many months. “Court documents state Collins went to see Townsel [pictured, right] for a haircut when the two began arguing over a pair of Vans shoes. Witnesses say the physical altercation started in the apartment and continued out in the parking lot. “According to police, Collins hit Townsel over the head with a bottle of vodka. Townsel then retrieved the knife from her apartment that she used to stab the victim. Police records say that when Collin (sic) continued to yell at her, Townsel stabbed [her] and left [her] lying in the grass. KCTV reported Townsel is being held on a $240,000 bond. Collins's murder preceded that of Tamara Dominguez, also of Kansas City, Mo., earlier this month. Dominguez, 36, was seen by witnesses stepping out of a black Chevrolet Avalanche SUV August 15 at 3 a.m., according to Kansas City TV station KCTV. Police told the station the SUV's male driver then struck Dominguez with the vehicle multiple times. Authorities, who at first classified Dominguez's death as an aggravated assault, are investigating the case as a homicide — claiming it is too early in the investigation to confirm whether the attack was a hate crime. Although police also identified Dominguez as a male, based on her legal identification, Sgt. Thompson of the Kansas City Police Department emailed The Advocate the official report, including her chosen name. When her death first made headlines, Dominguez was reported as the the 17th transgender American killed this year, although reports now indicate she was actually the 18th, since Collins was killed on June 23. Among those Americans killed in the U.S. as a result of possible anti-trans bias this year, all of the victims have been women, most of them women of color. Three African-American trans women were reported murdered earlier in August. The Advocate has compiled the latest information on the 18 women murdered this year to date. By comparison, in 2014, 12 transgender women were killed in the U.S. However, none of the aforementioned totals account for individuals whose deaths were not reported or investigated, nor for victims who were misgendered or not regarded as trans women in death (as was the initial case with Collins's death). Anyone with information about the Dominguez case is asked to call the KCPD's TIPS hotline at (816) 474-TIPS (8477).